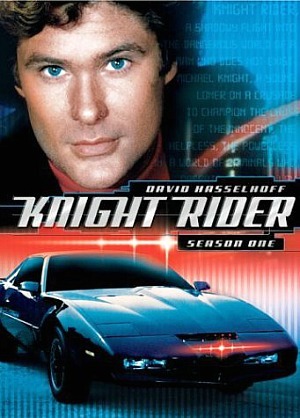 Knight Rider was a hit TV Show from the USA starring David Hasselhoff as Michael Knight. The series originally aired on NBC in the U.S. before being ported over to other countries. The show ran for four seasons (90 episodes) between September 1982 and August 1986. 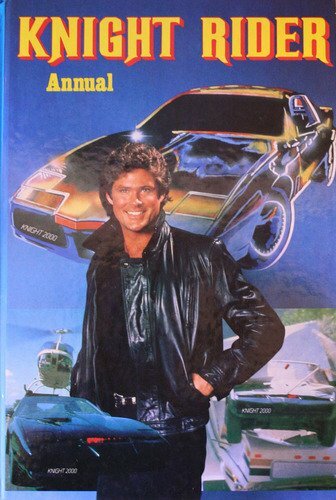 His futuristic Sentient car KITT featured Artificial Intelligence and actually talked to him. 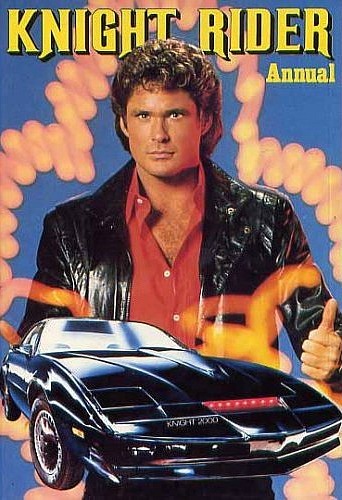 In reality, KITT was actually a customised Pontiac Trans-Am sports car. The voice was provided by William Daniels who also starred in the U.S. medical drama St. Elsewhere. 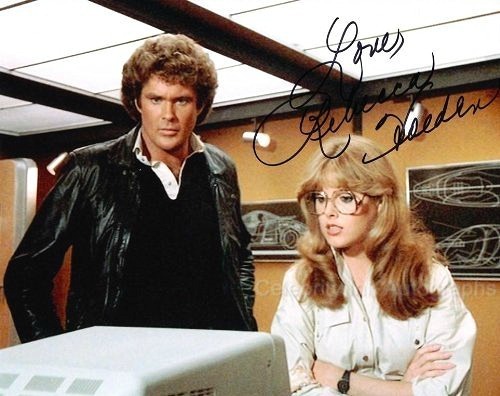 He must have been a busy guy as this was being broadcast at the same time as Knight Rider, with six series (137 episodes) being aired on NBC between October 1982 and May 1988. The series was also a big hit here in the UK and was shown many times on ITV, usually at the weekends. I must have watched every episode at least three times! Watch these video clips and enjoy! I believe that this annual is from 1984, although the year isn't displayed on the cover for some reason. Written by Larry Weiss, Rhinestone Cowboy was a huge hit for country singer Glen Campbell in 1975, reaching #2 in the UK, an topping the charts in Ireland, Belgium, Canada and the U.S. The clip above features musical genius David Hasselhoff performing his cover version live on TV, although I've no idea which show? If anyone knows please let us all know using the comment box at the bottom of the page. Thanks! If you of the right age in 1982 then you may have received this stunt set for Christmas. Unfortunately, I was a tad too old to be playing with this, but it looks like great fun!